Yesterday news broke that Huawei overtook Apple to become the world's second biggest smartphone maker, despite its lackluster presence in the US. However, the Chinese company has another achievement it can be proud of - it's apparently the company that is selling more notched smartphones than anyone else. This has surfaced today through data from Sigmaintell Consulting. In the first half of 2018, Huawei shipped 25.4 million handsets with a display notch. The second place goes to Apple with 20.7 million units, followed by Oppo, vivo, and Xiaomi. In total, the industry sold 86.1 million notched devices from the beginning of the year and until June 30. 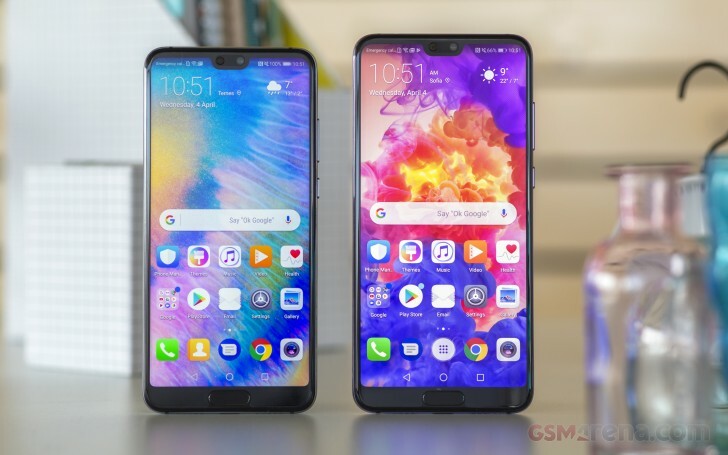 Huawei itself managed to ship more than 100 million phones this year already, so about 1 in 4 devices it's sold have a notch. The same source has interesting statistics on smartphone display panels. a-Si LCD (including Oxide LCD) screens made up 42% of the global shipments in the first half of the year, with 390 million units being moved. LTPS LCD panels had a 36% market share from 340 million units sold, while the 200 million AMOLED screens shipped in this period accounted for 21% of the market. Is apple really to blame about notched phones? Just wondering about it.